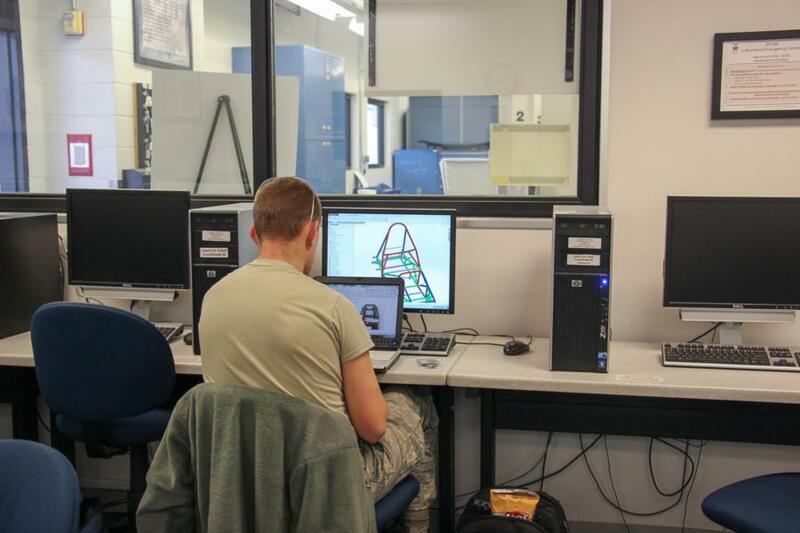 Air Force Racing is a student and faculty run senior design project (Capstone) and cadet club. 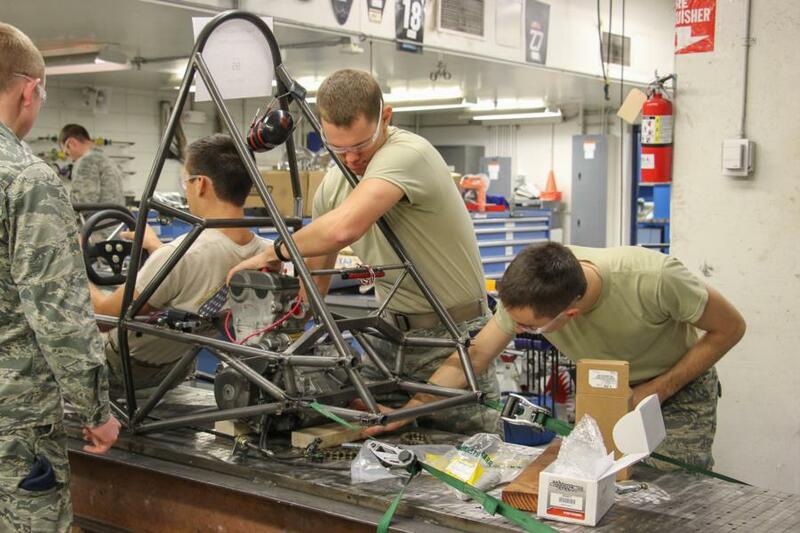 Cadets design, build, and race a Formula style race car in the Formula SAE competition, held annually at Michigan International Speedway. 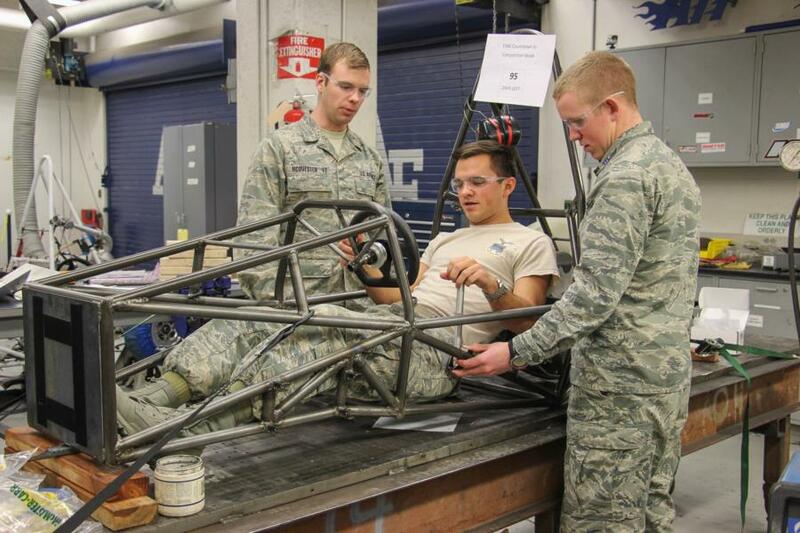 The Air Force Academy first participated in the Formula SAE competition in 1999. 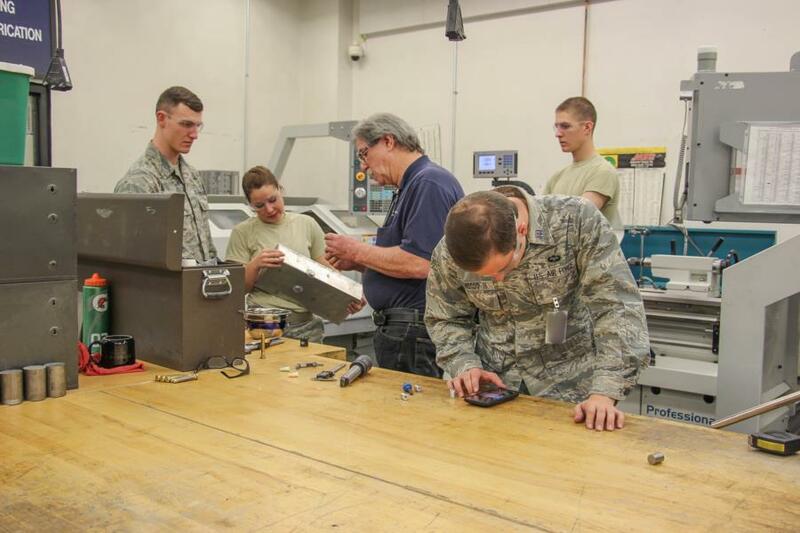 Since then, the team has mostly consisted of senior cadets looking for a way to validate their education while providing a positive image for what the Academy is capable of producing. 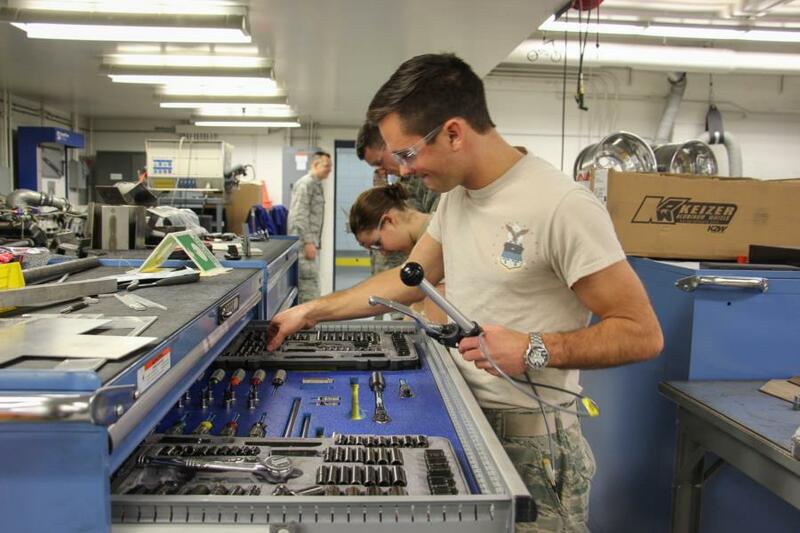 In recent years, the team has expanded to include all classes and majors, to create more manpower and capabilities on the team. Design concepts that have been eliminated in the past, such as ergonomics, are now at the forefront of the team, due to the extra personnel on the team. The cars seen in the pictures are S1.5 (Class year 2015), and the start of S1.6 (Class year 2016). S1.5 has been turned into a developmental car, and is used mainly for driver training, and teaching underclassmen how the different subsystems on the car work. S1.6 is the current car being built. It is a steel spaceframe chassis, powered by a Suzuki LT-R450 single cylinder motor. The engine is run through a Performance Electronics PE-3 ECU, tuned in-house by cadets on our chassis dyno. The car is designed with fully adjustable direct actuation suspension. Brake system is a hybrid of Brembo and Wilwood calipers with Tilton Master Cylinders. The interior is completely customizable based off of the driver size. There is an adjustable pedal box, custom seats for the drivers, and different steering wheels. The car features a limited aero package, made of carbon fiber, fiberglass, and Texalium. If you have any questions about the Racing Team please contact C1C Joe Houston or C3C Damon Payne. To view the rest of the pictures go to Galleries - Extracurricular - Cadet Clubs. Pictures start at the bottom of page 41. Or click the link below.